The process of building a powerful sail inventory for distance racing and offshore cruising is about having the sails that allow you to sail at the optimum angles and in a variety of conditions when you need to. “Damn. I wish we’d brought a reaching kite instead of only runners,” the navigator sullenly mumbles. If a similar conversation has ever occurred on your boat, you’re not alone. Building the ideal sail inventory for a particular distance race is one of the most important aspects of your race preparation. The best way to ensure you have the right sail for the right conditions is to recognize any gaps in your inventory, gaps that, once filled, allow you to sail the best angle possible at all times. The first step is to take a good look at your existing sail inventory, and then define the designed true wind speed and true-wind angles of these sails. Divide your inventory into three parts: upwind, downwind, and reaching. You probably have one main, three or four headsails that cover you in light, medium, and heavy conditions, and likewise for your downwind sails. It’s the reaching sails that are more difficult to fit into the inventory. You’ve got jib tops, reachers, Code Zeros, and staysails as options, and it’s here in the reaching sails where you’ll most likely have the biggest gaps. To give some insight into building a more versatile inventory, let’s explore a few commonly asked questions. I need to improve my reaching inventory, but I am confused by the terminology and coding of some of the sails. Most sailmakers refer to odd numbered sails (A1, A3, A5) as reaching spinnakers and even numbered sails (A2, A4, A6) as downwind-orientated sails. Code Zeros are most effective between 80 to 125 degrees true-wind angle, in wind speeds of 5 to 18 knots. However, it’s important to remember that the Code Zero is measured as a spinnaker. You can push these sails to slightly tighter angles in light winds, but be prepared for leech flapping. An A7 is a very small sail for very big breeze, 28 knots or more. It’s typically a fractional sail. A jib top is a high-clewed headsail used for tight beam reaching. My boat came with a typical upwind sail inventory, but my crew insists we could use a Code Zero, especially if the race turns into an upwind drifter; is this true? 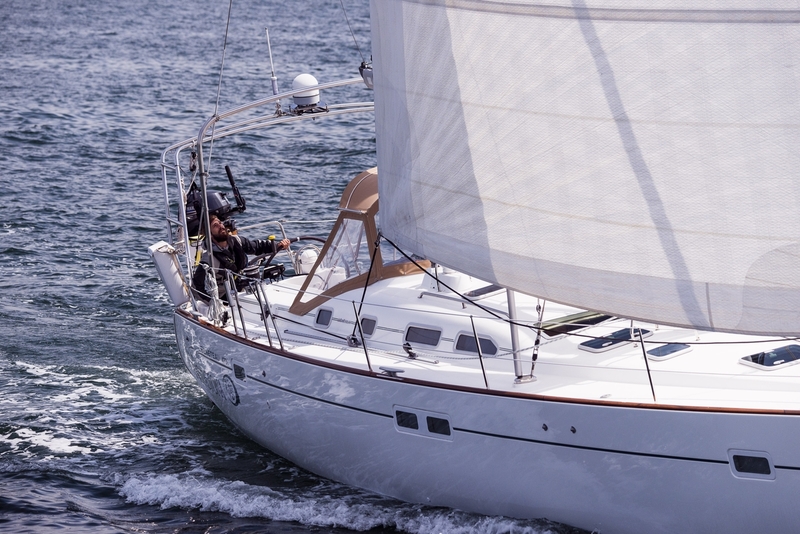 A common misconception is that a Code Zero can be used upwind in place of a genoa. In perfect conditions—light wind, smooth water—a true-wind angle of 70 to 80 degrees is about as close to the wind as you’re going to get from a Code Zero. On a masthead-rigged boat with 155-percent overlapping genoas, the gap that exists between a large jib top and an A5 reaching spinnaker is not significant enough to warrant a Code Zero. On a fractional-rig boat with non-overlapping jibs, however, a Code Zero is a necessary sail because of the significant gap between the smaller non-overlapping jib and the A5 reaching spinnaker. For a long downwind race where I may need the same sail for extended periods, how do I make sure I have redundancy in the sweet spot of my asymmetric inventory? For Transpac, and many other coastal and offshore races, the A2 spinnaker is your workhorse. But the A2 you use for inshore buoy races to sail at low angles may not be the best sail for offshore racing, when surfing waves and dealing with shorthanded sail changes. For the Reichel/Pugh 45 Criminal Mischief, we developed an A2.5, which is essentially the same size as an A2, but is much more durable. It has more reinforcement, a flatter luff, a twisted leech profile, and an oversized tack patch. This kite bridges that important gap between the A2 for flatter seas and lower angles and the smaller A4 for higher winds. This allows us to drive the boat harder in those crossover conditions, when we need to be able to put the bow up to track waves and not risk a wipeout due to the size and fullness of the inshore A2. This also allows us to sail with two A2s (A2 & A2.5) that are each efficient in a given wind range. If we break one, we still have one with which to finish the race. I race a Beneteau 44.7 in local PHRF events. The boat has a racing main, a 145-percent genoa, a 100-percent jib, and an all-purpose spinnaker. I’m planning to do the Bermuda Race but have a limited budget. What essential sails would you recommend I add to my inventory? A 145-percent jib top, heavy genoa staysail, and reaching spinnaker would be the primary sails to focus on. There can be a fair bit of reaching in the Bermuda Race and the jib top is a potent weapon for true-wind angles between 50 to 110 degrees. The jib top offers considerably better performance in this range because the design is orientated to reaching. It also makes the boat easier to drive and more balanced, especially when paired with a genoa staysail. The genoa staysail is an extremely versatile sail that can be flown inside of headsails and spinnakers; in a seaway it can help settle the boat into balance. You should also have a spinnaker for tighter reaching angles of 100 to 145 degrees, and for better control when sailing downwind in high wind speeds. This sail will be significantly flatter than your AP spinnaker and should be made of 1.5-ounce cloth. I’m racing my Baltic 37 in the Pacific Cup and I have three full size symmetric kites. My boat has problems tight reaching, and we have control problems downwind in anything above 18 knots. Is there a sail that can help alleviate these problems? Because your boat is a heavier IOR influenced design with a masthead rig and overlapping genoas, I would eliminate the symmetric spinnakers. Asymmetric spinnakers are more versatile and user-friendly offshore, especially in surfing conditions when the acceleration brings the apparent wind forward. I would first add an A3 or A5 reacher, which can also serve as a heavy-air running kite to 150 degrees, and a light-air reaching kite, which you can carry as high as 90 degrees true-wind angle. Its primary intended range is the transition zone between your jib top and your full-sized spinnakers. An A2 or A4 runner would have the same sail area as your biggest symmetric spinnaker, but provide a better option to bridge the gap between 130 degrees and 160 degrees true-wind angle. This would also provide better control running downwind in the 16- to 24-knot range with waves. Above this range you’re back to the A5, with the reduced girths and smaller sail area to allow you to sail a bit higher true-wind angle to maintain a user-friendly groove to drive the boat around in the waves. I have a j/32 and am trying to figure out a new sail inventory for a passage to the caribbean from Newport. Then I plan to cruise the caribbean and sail it back. I have never been happy with the light air performance. I'm looking to start from scratch but think the only sail I'll be keeping is a "general gennaker" what ever that is, maybe an a2. So what would you suggest for a head sail and one other head sail thats all I have room for. I'm not racing have no restrictions (other than budget) but very performance a tuned.